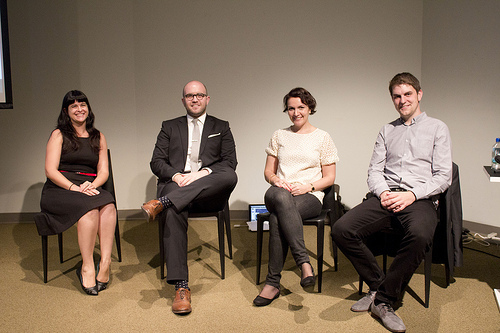 AIGA NY season opener, Fall 2013: Wendy Bell, David Gillam, Hamish Smyth of PentaCityGroup, introduce Walk NYC, moderated by their PCG teammate/AIGA board member, Rachel Abrams. A recap of the event is here. Photos: Karen Vanderbilt for AIGA NY.